Netatmo's station surprised us with its accuracy and focus on connectivity. Out-of-the-box support for smart-home platforms makes it a great choice despite its price tag. 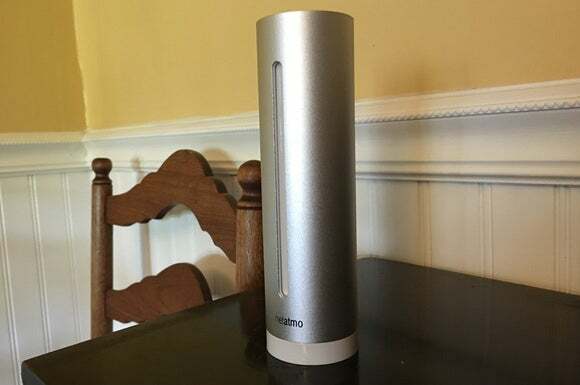 We first saw the Netatmo Weather Station at the launch of its rain and wind gauges at IFA 2015 and walked away impressed with how comprehensive its offering was. Since then, Netatmo has made the station even better with support for Samsung’s SmartThings platform and the IFTTT platform. Such high-tech functionality comes at a price. The base station and one temperature/humidity sensor sets you back $180. 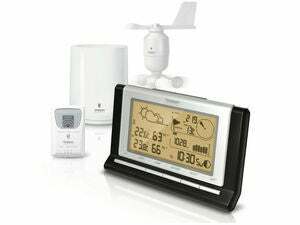 But you’ll really want to add the $80 rain and $100 wind gauge to get the most out of this system, which means it’s a $360 investment. 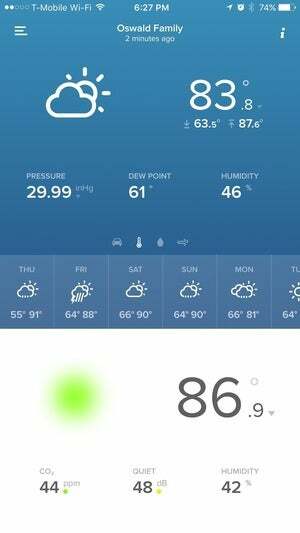 At that price point, the Netatmo is in line with some of the higher-end stations commonly used by weather enthusiasts, such as those from Davis Instruments. But Netatmo actually does connectivity better, as everything you need to connect to your weather station remotely and use the data to your benefit is either built in or easily set up through solid third-party support. Davis and other competitors don’t offer that. The base station acts as the hub and communicates with all sensors wirelessly. It has temperature, humidity, CO2, and noise sensors built in. Getting the Netatmo set up is a breeze. All you need to do is plug the base station into your computer via USB and then head over to Netatmo’s site to download the setup software. The necessary Wi-Fi information is downloaded into the base station, and once done it will instruct you to disconnect and connect to a power source. From there, you’ll just need to pull the plastic tabs out from the battery contacts of each instrument and the base station will connect to it automatically via an ad-hoc Wi-Fi network. Give it a few minutes though to start receiving data: it took my review unit about five minutes for all the instruments to start reporting. For the most accurate weather readings, follow our placement suggestions in the buyers’ guide and you shouldn’t have any problems. Also be sure to download the app while you’re at it: without it, you’ll miss some of Netatmo’s best features. The app is well designed and allows access to your station from anywhere. The Netatmo Weather Station got the most extensive testing from us, as it has continuously run since January. It’s also taken a beating too: below-zero temperatures, sensors buried under 30 inches of snow, and some torrential downpours. Save for a few hiccups, the Netatmo rose to the challenge. None of the sensors malfunctioned during our test, and they’ve held up well considering the wild weather we’ve been having here in the Northeast. And while all instruments run solely on battery power, the batteries themselves still have a high amount of charge left after four months of use. The temperature sensor is very accurate and never drifted more than two degrees from our NWS station about five miles away. The humidity sensor, often a pain point, is the one of the most accurate I’ve seen in a personal weather station to date. Very rarely did the station err more than five percent from our control station, although it did have trouble in saturated conditions. We found several times following wet weather that the sensor would stay saturated long after things had dried out, most pronounced in below freezing temperatures. Still, in average conditions it surprised us time and time again with its accuracy. The rain gauge is another solid instrument. It works through a tipping mechanism, which attempts to measure rain by the tips of a small cup inside the gauge. 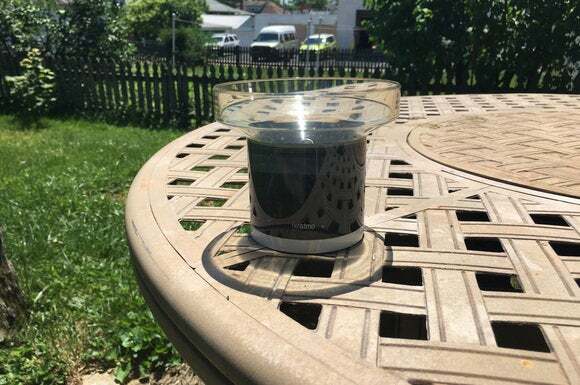 The NWS will tell you this is not a preferred method because they have a tendency to under-calculate rainfall, but the cups in the Netatmo gauge are smaller than most, so this is less pronounced. The rain gauge is the most accurate digital rain gauge that we’ve tested so far; it routinely matched up with other local weather station reports. If there is one instrument that has less of a positive track record in our experience, it was the wind gauge. Instead of the traditional vane and cup setup, Netatmo uses sonic measurements as the wind passes through the center of the device. While it seemed to do well with knowing which direction the wind was blowing from, or comparisons to a handheld wind gauge gave us the impression that it underestimated wind speed. Also, during the blizzard the Northeast experienced in January, the sensor was easily clogged with snow and rendered unusable. Even with the issues it is still sufficient for most people, although by far it was the most inaccurate of any of the Netatmo sensors. Other features, such as indoor CO2 measurement and sound levels were interesting to watch and play around with, but most useful when used in concert with a smart-home setup. All of Netatmo’s sensors, like the wind gauge pictured here, are well constructed and made it through quite a few weather extremes over the past four months without any issues. As I said earlier, you need the app: It allows you to access your station from anywhere, and it gives a host of options including nifty graphing features to see trends over time. At installation, the software installs a shortcut to a webpage where you can view data as well; but if you already have Netatmo’s Thermostat or Welcome security camera, you’ll already have this link. I like the Twitter-sharing features, and I’ve already shared some of my graphs during severe weather events. Unfortunately this is missing from the app, which is a shame. One tiny pet peeve with the app is in the rain gauge measurements: While it will give you rain rate and daily accumulation, it does not provide a monthly or yearly total. It also measures rain to a thousandth of an inch, which is unnecessarily specific considering official measurements are to a hundredth of an inch—but that also shows how sensitive the gauge is. The Netatmo Weathermap is another cool feature, which your station contributes data to by default. Here you’ll be able to see a map of all Netatmo stations worldwide. If you’re privacy conscious, this might bother you, because your exact weather-station’s location is public. Be sure to shut it off in your station settings if you want to keep this information private. As an added bonus, your station is also added to Weather Underground services, although you’ll need to follow these instructions if you want to “claim” your weather station there. Netatmo’s web-based Weathermap feature displays weather data from stations around the world. Netatmo won us over with its connected home functionality. While it is compatible with Samsung SmartThings, I don’t have a SmartThings hub to test it out with and cannot comment on its performance there. I instead used its IFTTT functionality, which connects it to a multitude of other smart gadgets. Netatmo’s IFTTT channel comes with 17 different triggers on a variety of conditions, such as temperatures rising above and below a certain level, rainfall no longer being detected, and noise or CO2 levels reaching a certain threshold. It’s easy to set up, and I’m using it myself: Every day at 12:00 a.m. IFTTT sends me a notification with the amount of rain that fell during the day (that, of course, doesn’t scratch the surface of what it can do). I can’t say enough good things about Netatmo. As a soon-to-be-meteorologist, my biggest fear seeing the design of this setup was that it looks pretty, but the accuracy would be crap. I was wrong. The decision to open up Netatmo to smart-home connectivity is a very smart move. The Netatmo Weather Station has a flaw or two: It doesn’t play well with older routers for whatever reason (I’ve looked for an answer to no avail), so you’ll need to have a solid and modern wireless network. And the sonic wind gauge doesn’t seem to be the most accurate and is easily clogged by snow. Still, it’s a solid investment for $360. 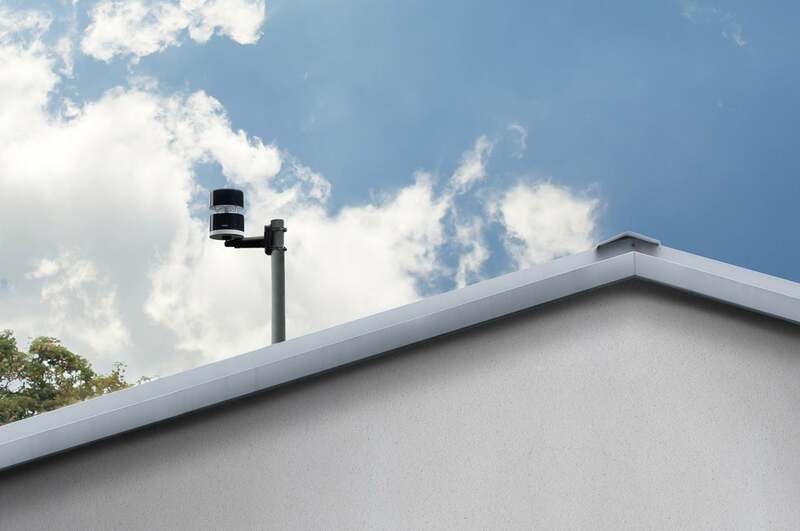 Big-name weather-station manufacturers like Davis can’t compete with Netatmo’s connectivity options, and you can start out with just the basics and add components as your budget allows.